Hence, even with the new Gutenberg experiences, you are still provided with the renowned WordPress flexibility. And that’s where plugins come in. The new WordPress reality makes us look at all popular (and not so popular) WordPress plugins at a different angle: whether and to what extent they are compatible with Gutenberg. 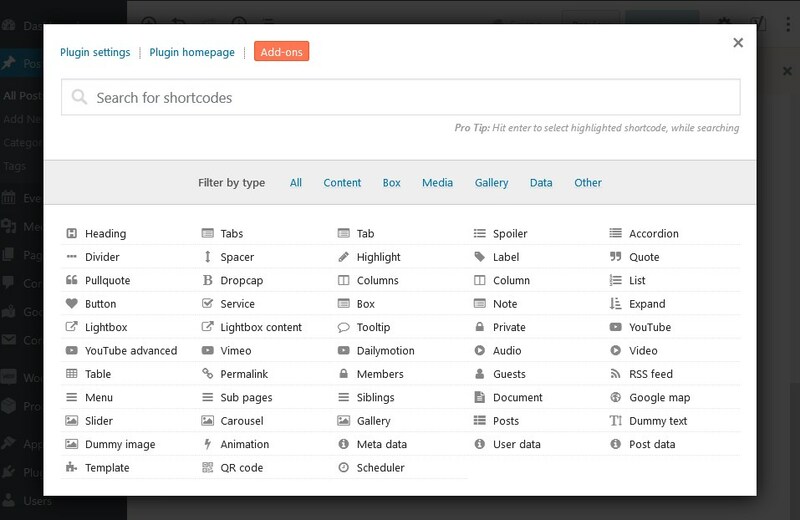 Especially those plugins that affect frontend (enable you to create and edit content) require proper adapting. So if you decide to jump on the Gutenberg bandwagon, we’ve made a small plugin research to help you do it wisely. We’ve checked 35+ popular free WordPress plugins to help you choose those solutions that already play nicely with the new core editor. The truth is, a lot of popular shortcode-based plugins have already migrated to Gutenberg blocks. Some dedicated Gutenberg blocks, generated by plugins, give you more options to make edits in real time (e.g. Tickera), some less (e.g. WPGlobus). Furthermore, some of those plugins that are compatible still have backward compatibility issues with the legacy content. Hastily created Gutenberg blocks give you very limited editing options in the Gutenberg interface. However, we believe this is something that will incrementally evolve. Some plugins promise they are Gutenberg-compatible, but if you take it at face value, you may end up realizing that they mean you can embed a plugin shortcode via the “Shortcode” Gutenberg block. Well, the usual shortcode method will still work for many plugins, but it’s not super user-friendly (especially the shortcode block UI for columns leaves much to be desired so far). So make sure to use a staging environment to test the plugin’s compatibility with Gutenberg. Let’s not waste time and check what we have in our collection today. Update: our collection is an outcome of primarily first-hand research, however, we were happy to find out later that there is already a manually-curated list of the WordPress plugins that offer blocks for Gutenberg. Jetpack has added Gutenberg support for multiple tools. If Jetpack is installed and activated, you’ll notice a list of Jetpack blocks in Gutenberg, which can be added to the page and customized in real time. You can add a contact form, a map, markdown and more. 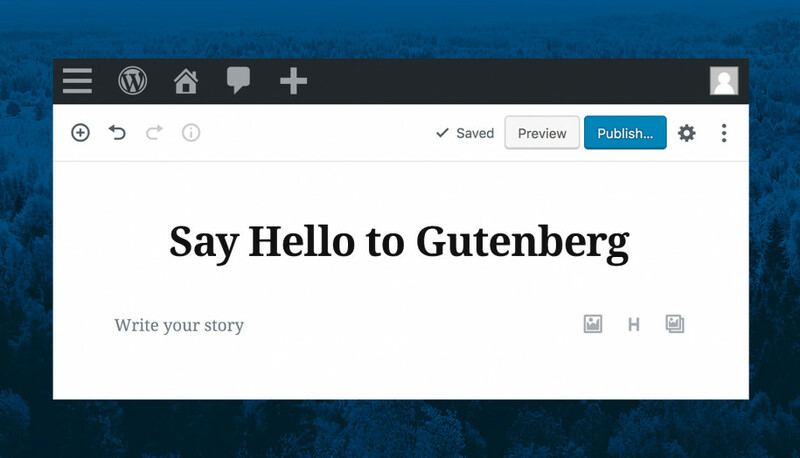 Even Publicize feature for WordPress social media auto-posting is integrated into the Gutenberg pre-publish sidebar. If you are an active user of Yoast SEO plugin, you can continue using it with Gutenberg! The familiar Yoast SEO traffic lights system along with all settings is built right into the Gutenberg interface. It works for both pre-Gutenberg and new posts. The official WordPress AMP plugin has recently released one of the most powerful versions that allows you to drastically enhance the performance of your website on mobile devices and keep the native theme styling. The latest version also fully supports Gutenberg. Even with the new WordPress 5.0 core editor, you can take advantage of the TinyMCE Advanced plugin thanks to the newest “Hybrid mode” developed specifically for Gutenberg integration. It promises to combine the powers of both editors to help you improve your editing experience. The TinyMCE editor now comes inside the Classic Paragraph block. Moreover, this plugin may be a “sweet spot” for those who use WordPress 5.0 with plugins that are not yet compatible with Gutenberg. WooCommerce, as one of the most used WordPress ecommerce plugins, introduced WooCommerce-specific blocks for Gutenberg: WooCommerce Product blocks. It’s a free tool designed to work flawlessly with WordPress 5.0. 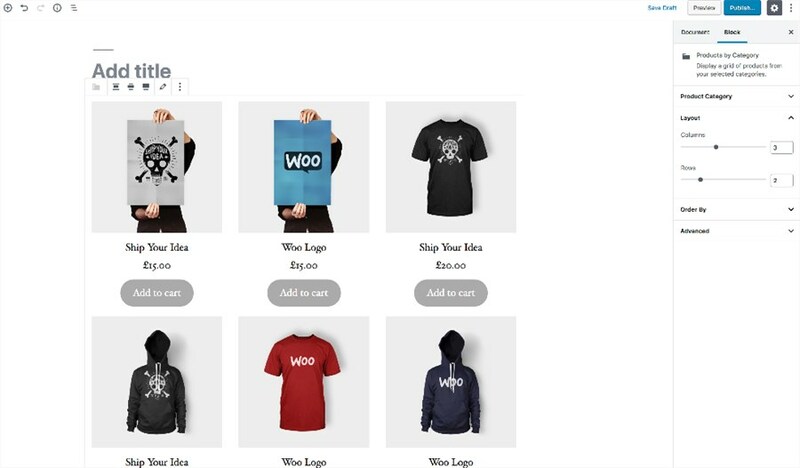 It enables you to select and display all WooCommerce products, products of specific categories in a standalone block, individual products, featured products, sale products, bestellers, etc. 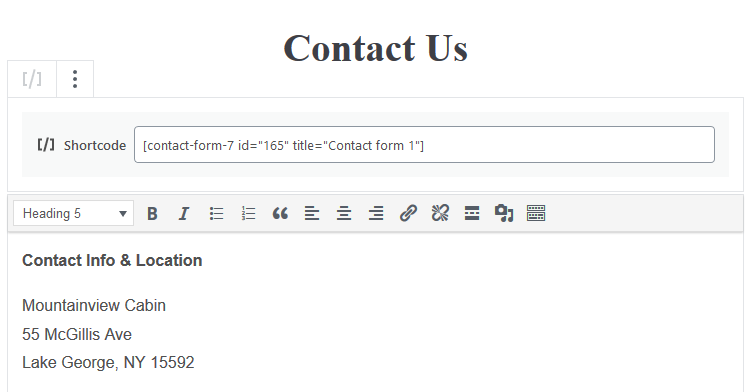 The shortcodes generated by the Contact form 7 plugin can be easily inserted into the Gutenberg “Shortcode” block as it is. 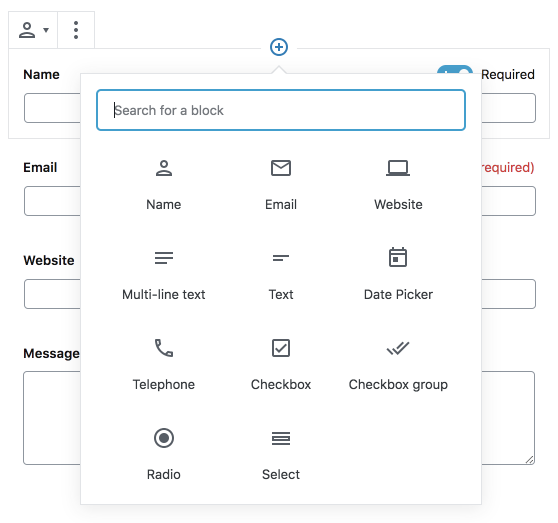 If you are looking for a better user experience of adding Contact form 7 blocks via Gutenberg, you can give a try to a Contact Form 7 – Gutenberg block free plugin. This utility will let you choose which shortcode to insert using a drop-down menu and style the block using custom CSS via Gutenberg. One of the most used page builders, SiteOrigion, is also Gutenberg-compatible. You can find the dedicated SiteOrigin Widgets Bundle among standard Gutenberg blocks to insert the needed elements right into the Gutenberg pages. If you need to add and manage ads using Gutenberg, this plugin is going to be of good help. It comes with a dedicated Gutenberg block for ads, generated via Google AdSense, Google Ad Manager, Amazon ads, etc. 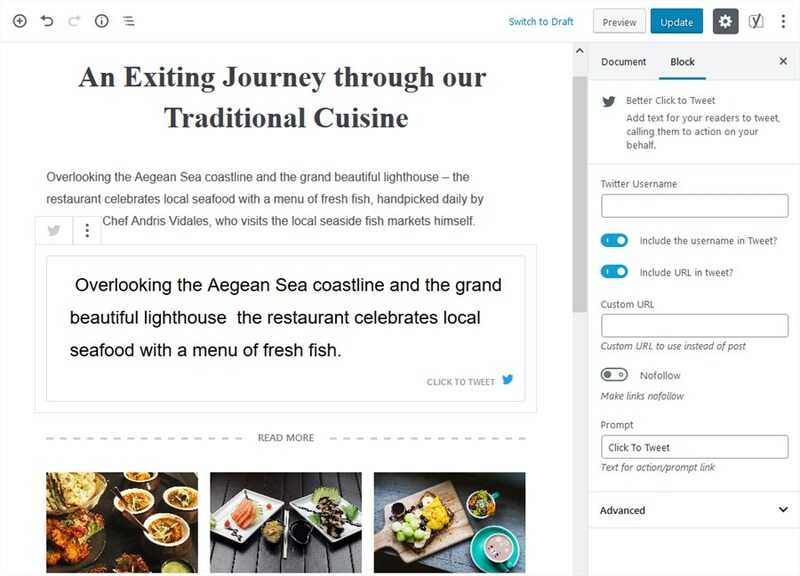 The popular technology to engage and increase your social media audience, click-to-tweet WordPress functionality, now perfectly integrates with Gutenberg. That’s very simple to highlight a piece of a post and copy it into a separate “Better click-to-tweet” Gutenberg block to make it clickable and shareable by Twitterverse. A very easy way to enable your website users to enlarge the images in posts, pages or even WooCommerce products, now plays nicely with Gutenberg. 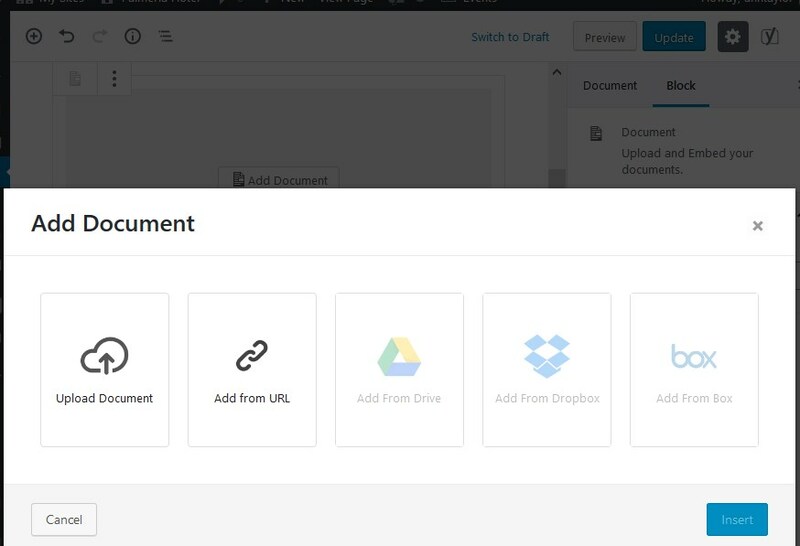 Since version 2.4, you can embed documents into WordPress via Gutenberg with a help of this plugin. There are only a few types of embeds available in a free version, however, you can use more with a premium version. Elementor, as one of the top popular WordPress page builders, claims to be 100% ready for Gutenberg. 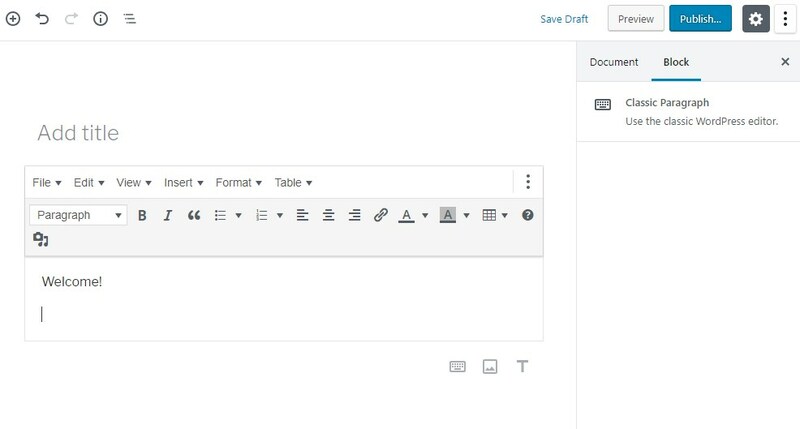 Opening the Gutenberg editor, you’ll see the familiar “Edit with Elementor” button on the top panel. 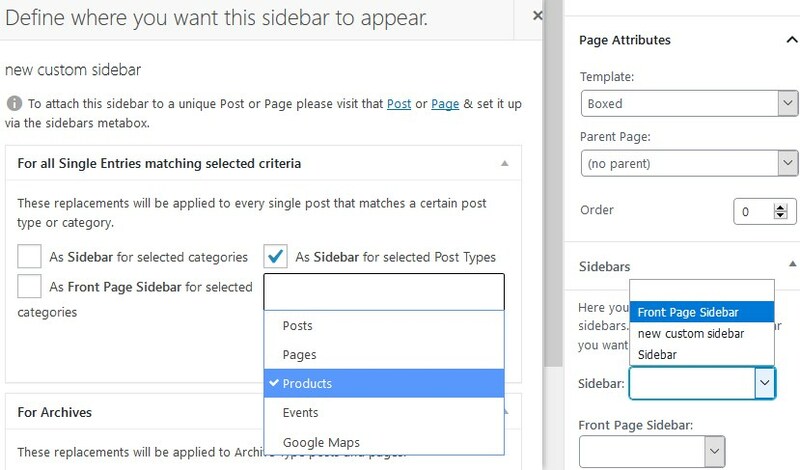 It means you can open it and create pages with reach layouts and styles as before. There is an official Elementor Blocks for Gutenberg add-on that will allow you to insert custom Elementor templates into Gutenberg in clicks. Although Wordfence WordPress security plugin doesn’t interact directly with Gutenberg, their team has ensured that Wordfence is ready for Gutenberg and WP 5.0. So if you are looking for a decent WordPress security plugin, this one will be of good help. The functionality of a popular Disable Comments plugin plays nicely with WordPress 5.0. 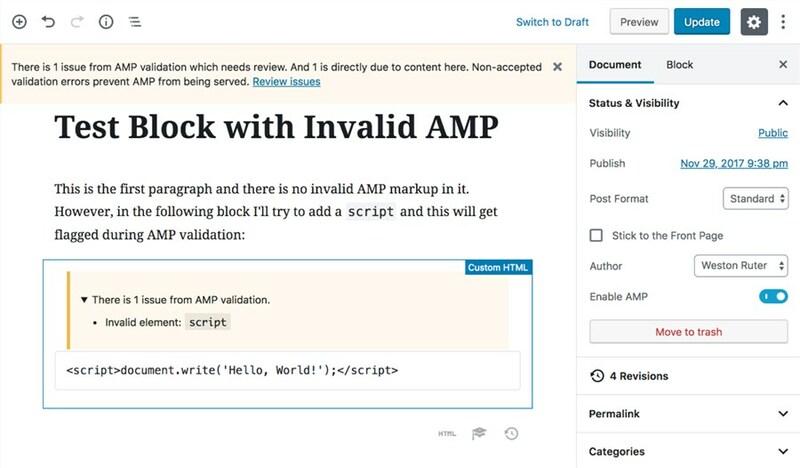 The plugin is not supposed to be connected directly to Gutenberg, but with its help, you still can globally disable comments for posts, pages, media and custom post types created with Gutenberg. If your websites suffers from spam, this plugin is a great way to limit it. To build different types of advanced contact forms, Ninja Forms has proved to be one of the best solutions. The plugin developers created a custom Gutenberg block for Ninja Forms so that you can embed chosen forms in clicks. 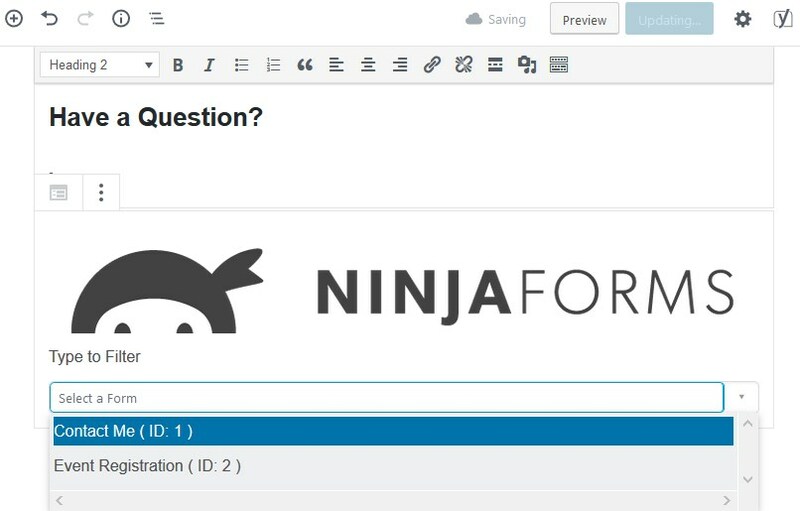 You’ll need to build and customize the forms as usually via the traditional Ninja Forms interface and then add them to the Gutenberg page or post with a dedicated block. Creators of the life-saving Advanced Custom Fields plugin are intensively working on ACF Blocks for Gutenberg. So far, a beta version allows advanced WordPress users to create custom dynamic Gutenberg blocks using ACF and PHP. 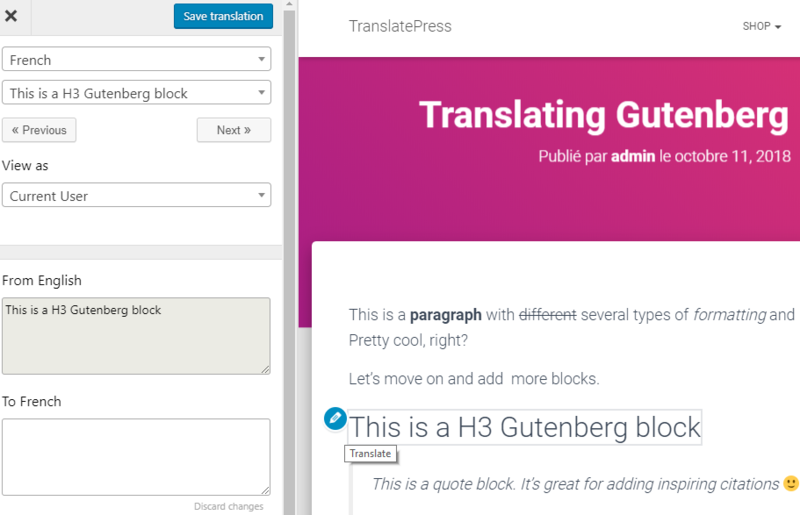 This popular WordPress translation plugin was tested to work smoothly with Gutenberg. Multiple types of Gutenberg blocks, including paragraphs, buttons, lists, heading and the like can be translated via a handy TranslatePress interface. 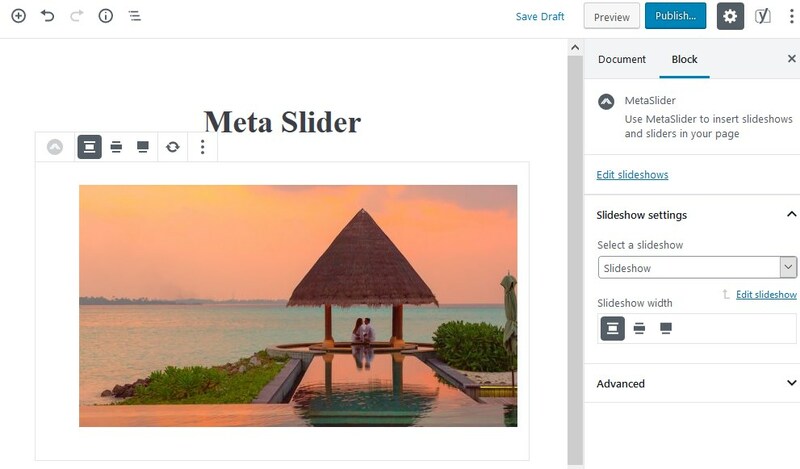 Meta Slider slideshow WordPress plugin works smoothly in a new WordPress editing experience thanks to a custom Slider block for Gutenberg. Before inserting the sliders via Gutenberg, you need to create and customize them via a separate Meta Slider screen. There are tons of options to make lightweight and dynamic sliders before inserting them via Gutenberg interface. The latest version 2.5 of Polylang WordPress translation plugin is compatible with WordPress 5.0. It keeps the legacy metabox, using the metabox compatibility layer provided by WordPress 5.0. There are more compatibility steps planned for 2019. 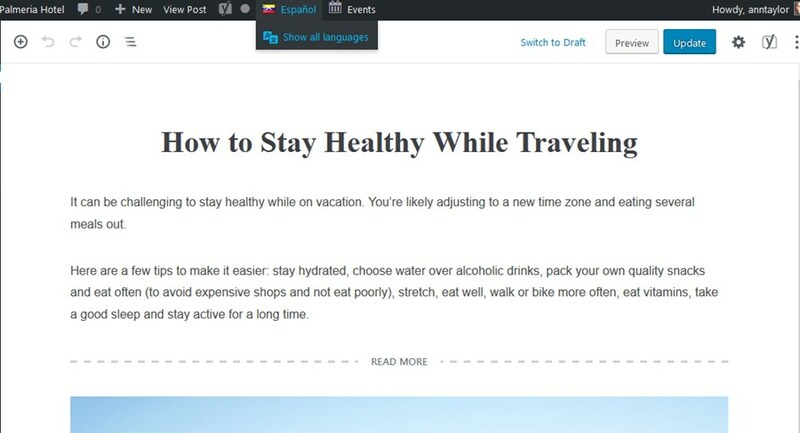 The team behind the Events Calendar plugin, one of the most popular event scheduling plugins, continuously works on the Gutenberg integration. Starting with the plugin version 4.7, you can add and customize your events via Gutenberg thanks to multiple custom event blocks. So far this plugin offers one of the deepest levels of integration with Gutenberg compared to other similar plugins. 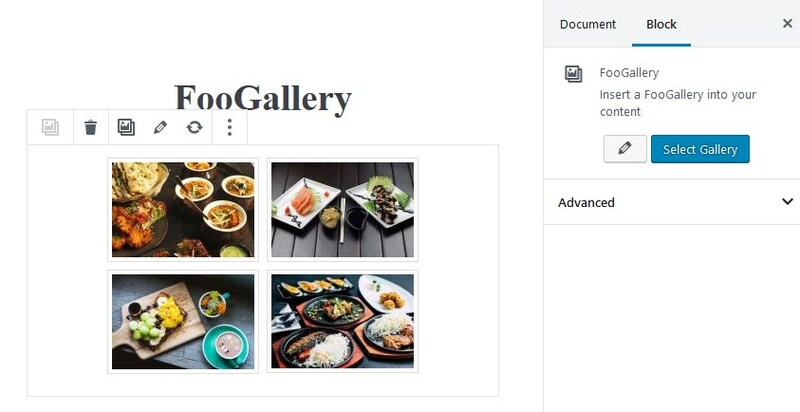 This popular image gallery WordPress plugin allows you to showcase stunning galleries by adding a FooGallery Gutenberg block. All the gallery settings still need to be applied as before via a separate plugin interface. 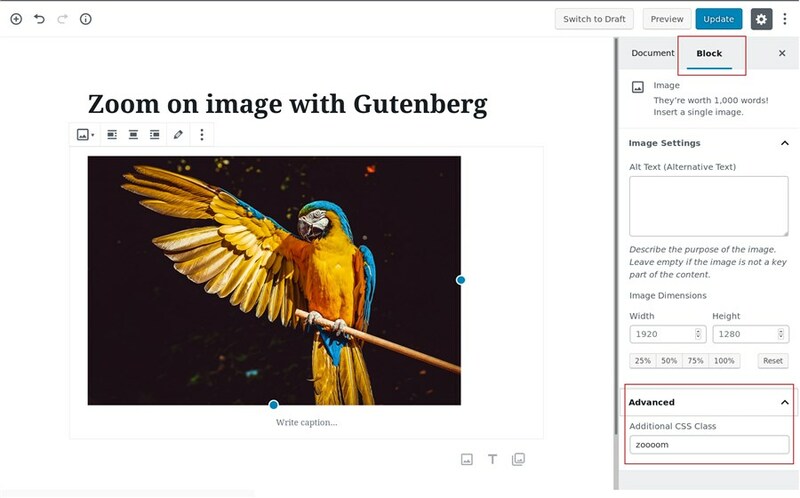 Basically, you’ll won’t be able to edit the gallery in real time in Gutenberg, but so far you can embed previously created galleries via Gutenberg interface effortlessly. WPForms plugin is ready to provide you with a powerful toolkit for constructing any type of a form, which can be easily inserted via Gutenberg. 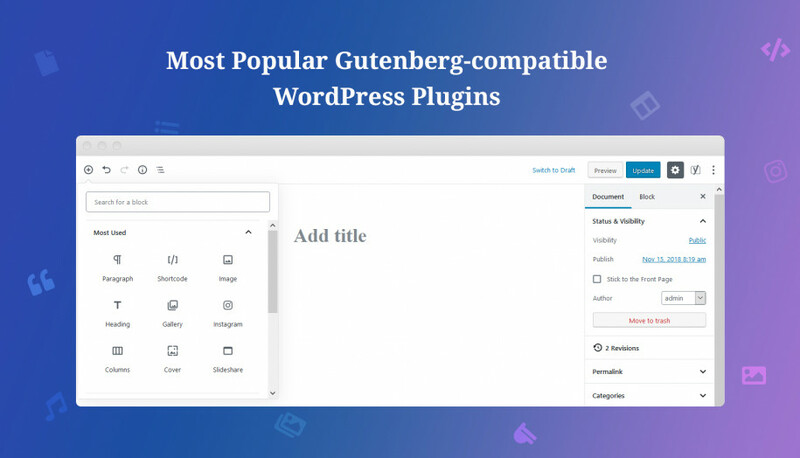 The WPForms Gutenberg block can be found in Widgets category. Once added to the page, you’ll need to select which form exactly to insert. There are also some settings related to WPForms plugin in its Gutenberg block (for example, you may enable or disable a form title and description). I have to admit that during a brief test-run, this plugin worked flawlessly compared to other similar contact form plugins. Meta Box plugins allows to create custom meta boxes for WordPress custom fields. 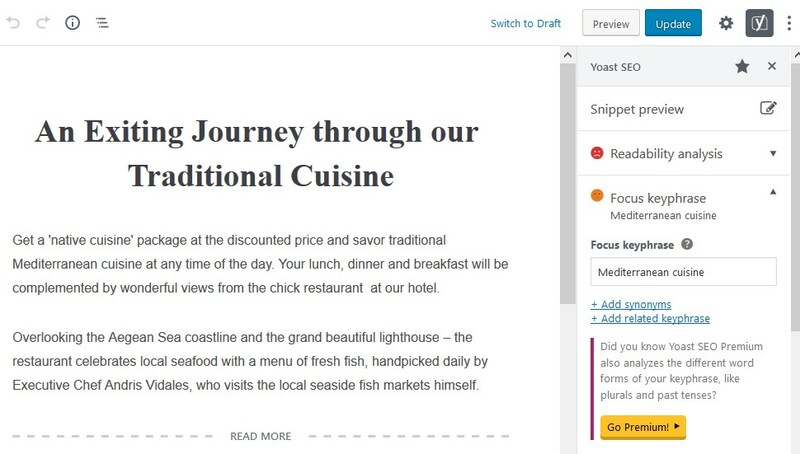 The core plugin as well as its add-ons are Gutenberg-compatible: you can create meta boxes for custom post types, manage settings pages, set up terms and users, style meta boxes, etc. The plugin creators always keep an eye on Gutenberg to make sure any concerns are addressed in time. If you want to add or replace sidebars of your WordPress theme with a handy Custom Sidebars plugin, you should rest assured that it will play nicely with Gutenberg. Users report just a few issues that are in most cases caused by a theme or third-party plugins. NextGEN Gallery is one of the most powerful (and used) WordPress gallery plugins. In December, 2018, the team introduced a new NextGEN Gallery block for Gutenberg to meet the needs of a new era of WordPress editing experience. Once the NextGEN block is added to the post or page in Gutenberg, you’ll be offered to edit your gallery in a familiar visual mode. When you are finished with the gallery, you need to simply insert it into the Gutenberg editor. Give is the most popular WordPress donation plugin. You can still experience the power of a donation form creator and editor via a separate menu, but now you can add the Give related content via dedicated Gutenberg blocks (Give form, Gve donation form grid and Give donor wall). There are also some handy settings for these blocks you can tune in via Gutenberg. 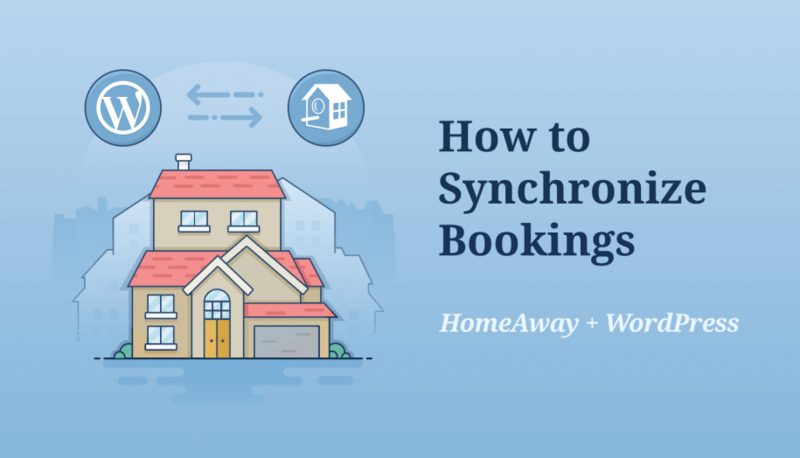 This is our plugin that allows to you create a fully-featured WordPress rental property website. 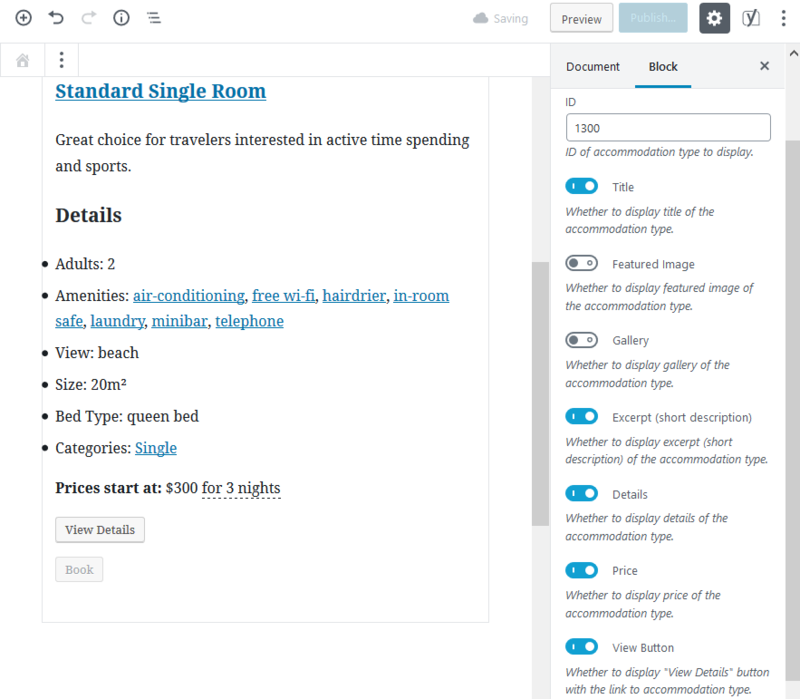 Since it embraced Gutenberg, you can add all essential content elements such as a search availability form, accommodations listing, availability calendars and more as blocks. It’s pretty handy to change the look of blocks with toggles. 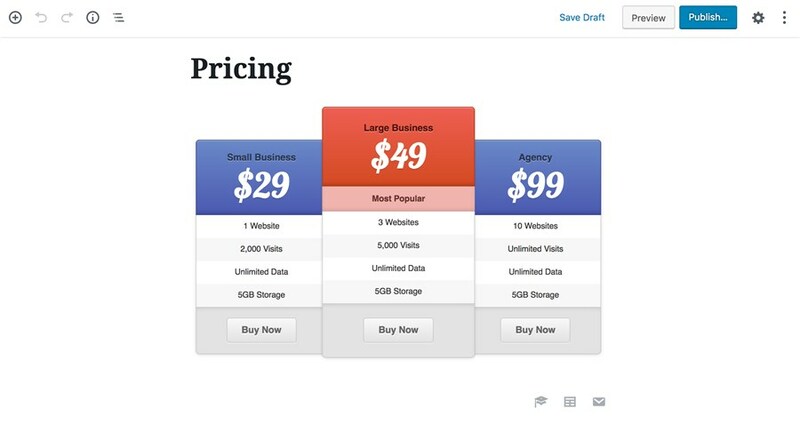 There is already an easy way to add pricing tables via Gutenberg. The plugin creators registered a specific Pricing Tables block for Gutenberg, which you can find amongst Gutenberg widgets if the plugin is activated. So first you need to create a table and then select the needed one to be added via Gutenberg – it will output the needed table with all your custom settings. 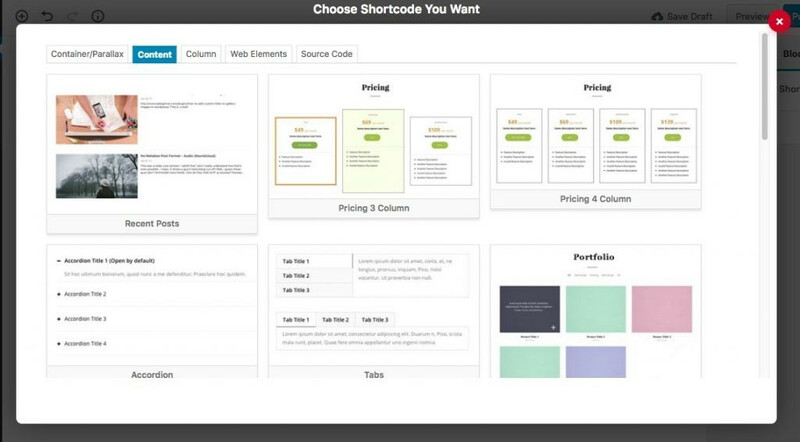 Uix Shortcodes plugin offers you access to professional designs for different purposes, which can be implemented with the appropriate shortcodes. To enable you to add and use these designs via Gutenberg, you should add a specific Uix Shortcodes block and then choose the needed elements / designs you want to use. Learn more about this experience. 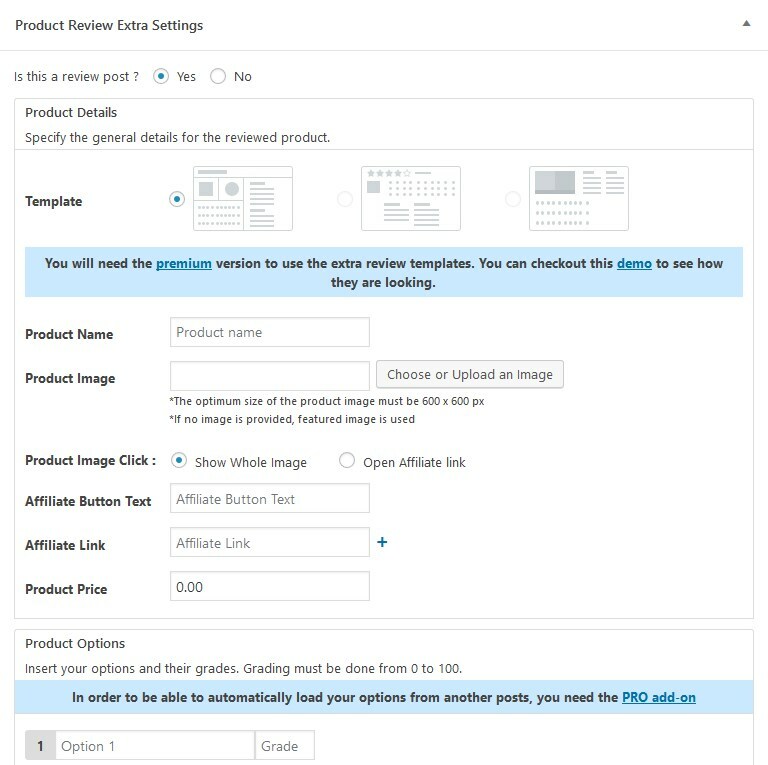 WP Product reviews allows to enable reviews for selected posts and pages, where you can configure tons of settings to set up reviews via Gutenberg. 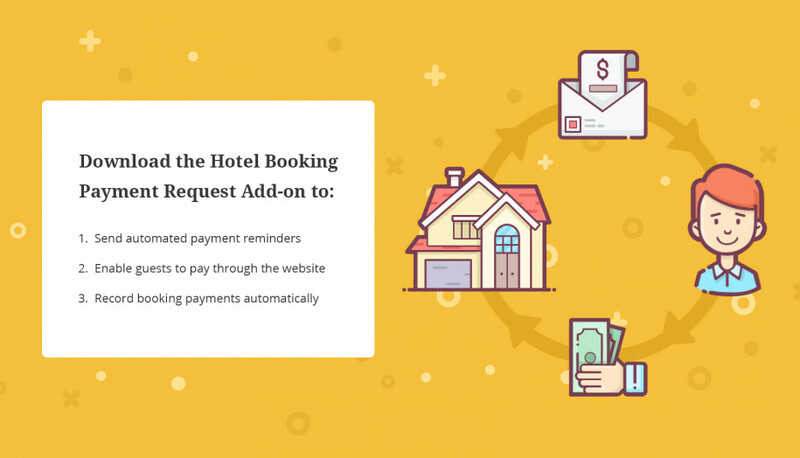 Tickera is a feature-rich WordPress plugin for selling tickets for different events. And of course, it enables you to add event-related widgets via Gutenberg. 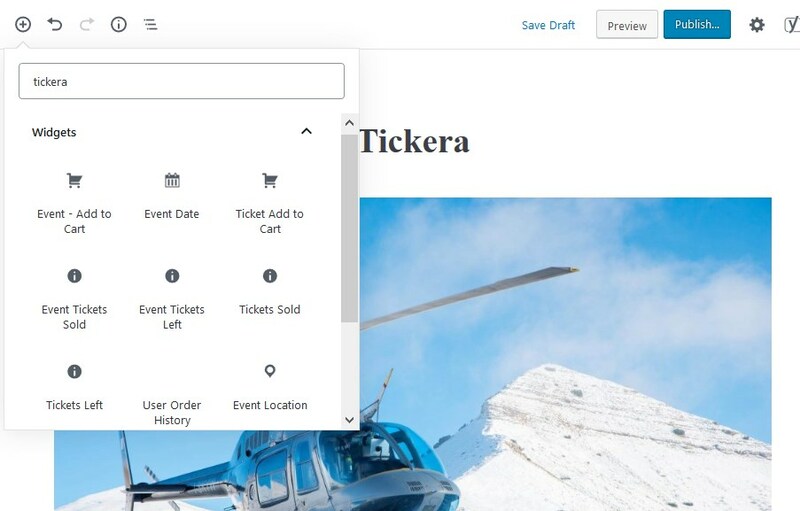 Almost each piece of functionality can be added as a Gutenberg block: “Event date”, “Event location”, “Add to cart button”, “Tickets sold”, “Tickets left”, etc. What’s more, the plugin gives you an option to enhance editing of those individual blocks visually in the Gutenberg sidebar (a really deep level of integration). 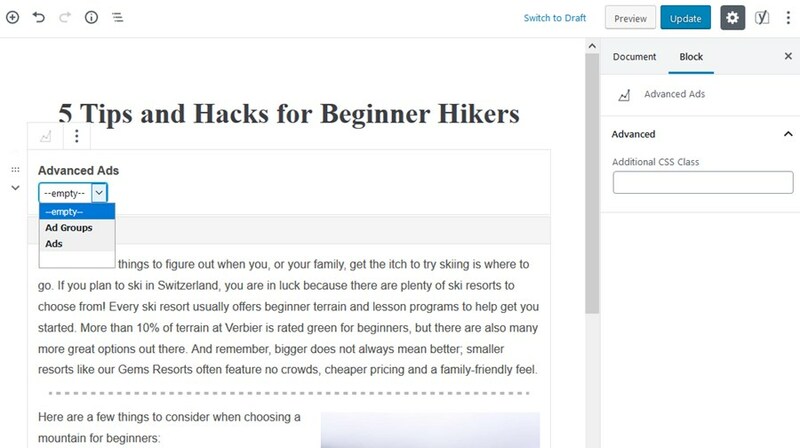 All on-demand content modules (videos, buttons, tabs, galleries, tooltips, etc) can be added easily with this plugin to any WordPress page or post. Since the plugin supports Gutenberg, you can insert any offered functionality in a more user-friendly way into a paragraph, shortcode and classic blocks. 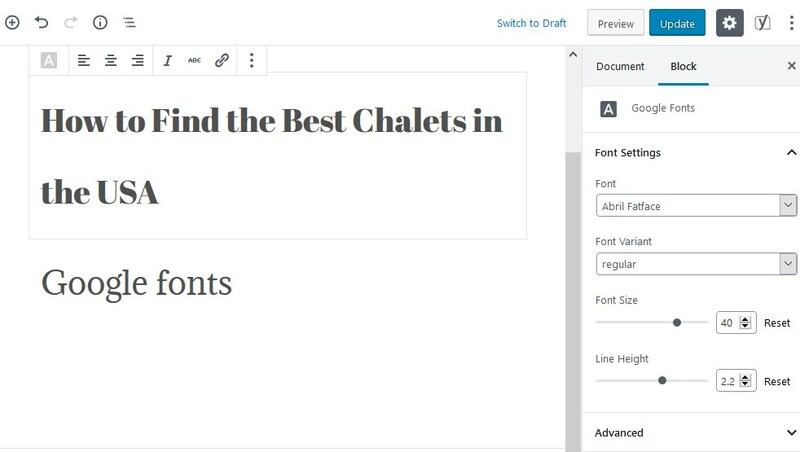 Gutenberg doesn’t give you such an option by default, so if you need to modify fonts on your WordPress website, this Gutenberg-compatible plugin will solve the issue. The plugin creators have added a Google Fonts Gutenberg block, which is now accessible with basic settings included. WPGlobus works well for multilingual WordPress websites and since the version 1.9.17, it supports Gutenberg, so you can add your translations by opening the translations panels in the new WordPress editor. However, it seems the UI is still not very user-friendly since there is a lot of back-and-forth work you need to do to add translations. This is a great plugin to address a specific need. If you need to add a couple of Vimeo videos via Gutenberg, this popular WordPress plugin is a handy way to do this. You’ll need to designate the needed settings via a separate menu and then choose a needed Vimeo video gallery to add to a Gutenberg page. As you see, even WordPress Gutenberg-compatible plugins don’t work as in a fairy tale, but the major players have already made the first steps to ensure that Gutenberg integration is smooth. Gutenberg is still a hot topic for many WordPress users. If you have any experience to share, we are sure it’ll be invaluable for our readers. If you are a developer, does your plugin integrate with Gutenberg? Let us know more about it and we’ll consider adding it to this collection. Gravity Forms has a Gutenberg block plugin.